I have been mastering the art of hair design for over 20 years. 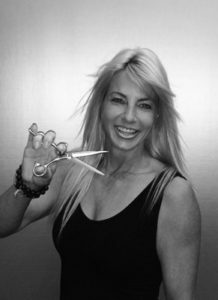 My professional strength is color, advanced cutting and finish work, 100% satisfaction! I have a natural talent for complementing a client’s hairstyle to such characteristics as: face shape, skin tone, and individual personality. Not to mention, a client must need to be able to duplicate the style given to them in my chair. I feel extremely blessed to be able to have a profession that I have such a passion for, and I am always eager to take continuing education classes as trends change so often in cosmetology. I like to challenge myself to stay on the forefront of this ever-changing business! I thrive on giving my clients 100% satisfaction before they leave my studio!